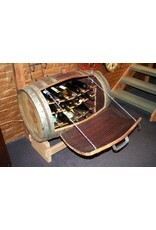 This beautifully crafted Napa wine barrel has 3 shelves for storing 21 bottles. Includes locking door and sturdy stand. 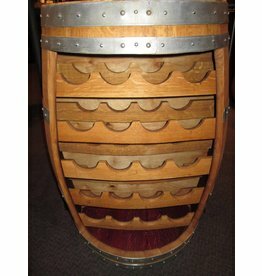 Great for a wine room or cellar. 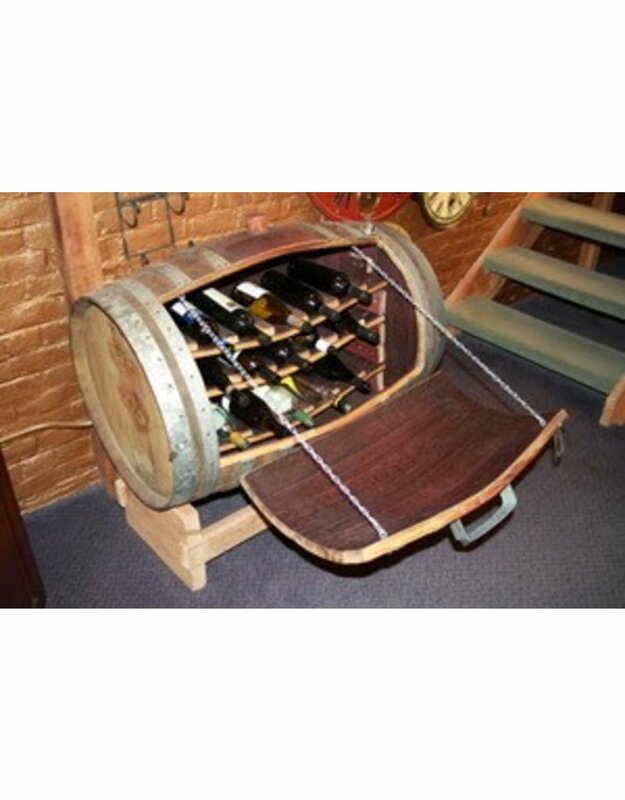 Measures 37"h x 37"w x 27"d.
This beautiful half-barrel is constructed from a French wine barrel by a local Napa Valley artisan. Holds 20 wine bottles nicely in half the space of a full barrel which saves space by being able to fit neatly up against a wall. 37" h x 13" d x 27" w.